It's not a bore at homecoming. Joy is in store at homecoming. 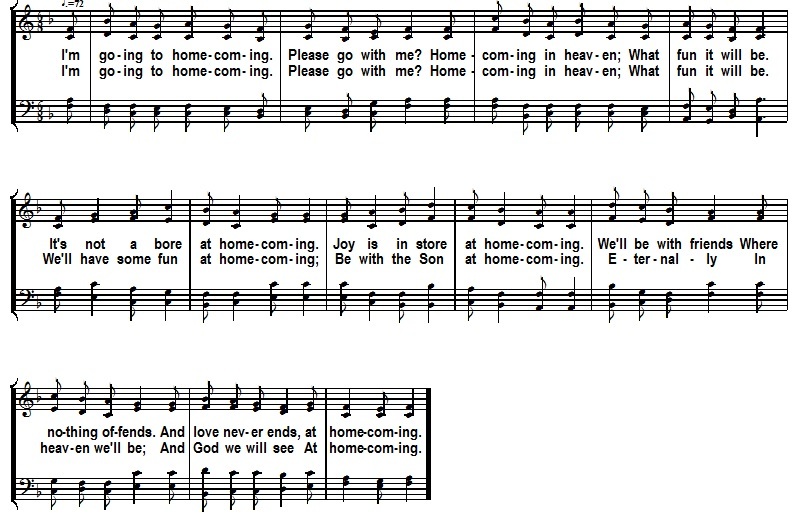 And love never ends, at homecoming. Be with the Son at homecoming. And God we will see At homecoming. This song was written for Spiritual Explosion XVII, the seventeenth annual iteration of a youth rally at Riverside church of Christ in Albuquerque, NM. This year the event will be April 28-30. The theme, if you couldn’t already figure it out, is Homecoming. I asked some high school students what homecoming meant to them. I incorporated some of their responses in this song.